Council workers in Wales have been attacked almost 6,500 times in the last four years - with one stabbed and another hit by a car. Staff including refuse collectors, librarians, teachers and social workers were abused, with some getting death threats. The figures, released under the Freedom of Information Act, were given to BBC Wales by all councils except Cardiff. Unions said better safety measures were needed to stop the "appalling attacks". 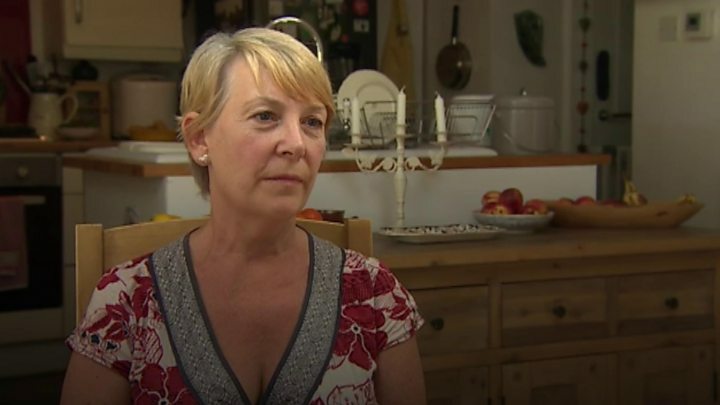 Alison Hulmes, a social worker, told how a man threatened her when she was visiting his elderly mother, saying "it's really easy to find out where you live". She spoke of colleagues needing police protection after being traced on social media, and said she was scared the man who threatened her was going to follow her to her house where her young children were. "It was really frightening, I wondered if he was going to follow me... It was really clear that I wasn't going to drive home in case he followed me in his car to my house," she said. In the four years from April 2014, council employees were attacked at work 6,421 times, with at least 3,500 of these being physical assaults, according to figures. But the real numbers could be much higher as Cardiff council, the largest local authority in Wales, said it did not hold the data. It is also not clear how many incidents were referred to the police. A number of motorists used their cars as weapons in rows over parking fines, while one school worker was "stabbed several times" by a pupil in Bridgend, although it is not clear what with. While the majority of physical attacks were on those working in care homes, social services and education, a number of bin workers, planning officers, traffic wardens, librarians, museum staff and leisure centre workers were also assaulted, with staff being left with lacerations, bite marks, bruises and burns. In Bridgend, a traffic warden was beckoned to a car he had just issued a fine to, and then had a substance squirted in his face - which later turned out not to be toxic. Another was followed and beaten, while one was threatened by a man who said he had "a knife". One parking officer was hit by a car mirror when a motorist drove at him before getting out and attacking him. Another aimed his car at an attendant and drove at him "at speed", only stopping when he realised the warden was standing near a lamp post. One warden was told to "kill himself" and "burn in hell", while another was punched in the face after issuing a ticket to a man who had wrongly parked in a disabled bay. Hardback books, Jenga blocks, drawing pins, and even plaster casts were thrown at teachers and classroom assistants - others were punched in the face or bitten, and some were threatened by pupils with knives and scissors. Some of the worst threats were made against social workers, with one mother threatening to shoot her child's social worker in the head, while one father said he would "stab them in the eyes". A prisoner was also heard by guards threatening to kill a social worker, and one support worker was assaulted by a child, who pushed her into the road, causing her to hit her head on the kerb, before she was repeatedly kicked in the head. Recycling centre staff in Anglesey were verbally abused 15 times, with one staff member assaulted, while lollipop ladies were sworn at in front of children. When Alison Hulmes went to a remote house with a poor mobile signal to visit a mum with alcohol issues she did not expect to be abused. "It was clear immediately that mum was very intoxicated," said Mrs Hulme, a social worker in the Swansea, Neath Port Talbot and Bridgend areas, with more than 18 years experience. "She'd been smashing things in the room, very quickly she came up to me and was shouting in my face, she was screaming and starting to make fist gestures and put her fists up to my face." Mrs Hulmes, who is a representative of the British Association of Social Workers (BASW), said while staff always did risk assessments and had "get out" plans, being in the situation was "extremely frightening". She added that the hostility was getting worse due to austerity as people were desperate, while staff were stretched. "Social workers have not been able to drive home, people have found out where they live through social media, and have either tracked them or followed them, so they have been too afraid to go home at night, and have needed police protection," she said. The Welsh Local Government Association (WLGA) said while serious incidents were rare it was "deeply concerning" that a small section of the public felt it was acceptable to abuse public servants. Councillor David Poole said: "These people are teachers, social workers, refuse workers or park wardens. "They are hard-working, caring, committed people, delivering vital everyday services to people in our communities. Councils provide support to their staff who are victims of abuse, which includes counselling, and warnings are issued to individuals, and more serious matters are referred directly to the police." Margaret Thomas, assistant general secretary for Unison, said the figures were "appalling" and "no-one should be in fear at work or return home injured". "Assaults and intimidation are completely unacceptable. We are campaigning for the strongest safeguards for our members and all public service workers with zero tolerance towards perpetrators," she said. 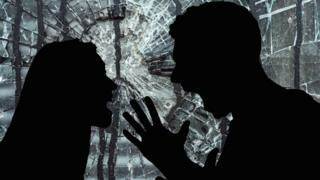 The Welsh Government said staff deserved to do their jobs without fear of violence or harassment.